Jared Unzipped: The Success Of The Ant. As a whole, humanity isn't as successful as we like to believe. That's right -- for every one human, there are nearly one and a half billion ants. To say we are outnumbered is a royal understatement. It doesn't end there, though. Not only are we outnumbered, but we're also outweighed. If one were to go by the average conservative weight of an ant, their combined biomass would be 3,000,000,000 tons. The combined biomass of humanity is approximately 350,000,000 tons. Face it -- we mean absolutely nothing to the ants of Planet Earth. We may step on one or two of their ranks in any given day, but the numbers are beyond mind-boggling. We could each kill thousands upon thousands of ants per day and it wouldn't matter in the slightest. I realize the common ant is seen as a pest. They infest our gardens and front yards. They hide in our flower pots and come to our kitchens for water. Yet, the next time you attempt to squash an ant, I want you to remember what I've said here. 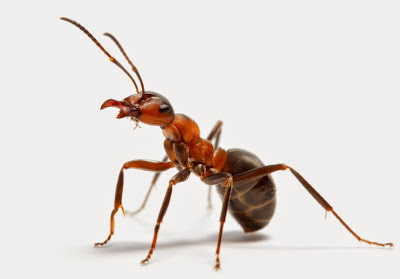 Show the common ant a little bit of respect. They've worked long and hard to make the best of their situation. Though small and insignificant they may be, their willpower and imperative to thrive has made them Earth's single greatest success story. This information, along with much more data, can be pulled from the World Atlas of Biodiversity, a publication of the United Nations Environment Program / World Conservation Monitoring Centre. I suggest you give both a visit.